Si algo tiene la canción de Better Than Today, aparte de ser super petardi, es que dice 2 verdades como 2 templos. Y va siendo hora de que me aplique el cuento de una p*ta vez! How can you hate something that you aint never tried? Yeah you see, what they do? Well we can do it better, yeah im talking to you. Whats the point in living if you don’t wanna dance? Oh I know life is hard? When theres a million things to learn they never teach you in school? 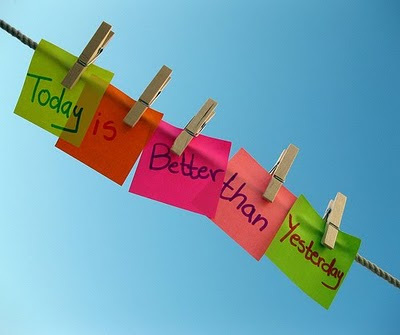 We just want tomorrow to be better than today! To stop our clever busyness, and let go and dance! Oh-oh oh-oh everybody, Everybody wanna dance now? Oh-oh oh-oh everybody, Everybody wanna dance now!